Get your Russian Curriculum for Little Reader! - . :Early Learning Community:. BrillKids Forum > BrillKids Announcements > Get your Russian Curriculum for Little Reader! Get your Russian Curriculum for Little Reader! INTRODUCING OUR NEW RUSSIAN CURRICULUM! Wish your child could learn Russian? Well the wait is over! The new Russian Curriculum pack for Little Reader is now available at the all BrillKids Online Shops! This curriculum pack will help you teach your young child how to recognize thousands of Russian words, understand their meaning, and finally learn to speak Russian! We've created a full 12-month curriculum specially designed to teach your child to read in Russian! Each word file adheres to BrillKids standards, and comes with at least 3 professionally recorded voices, 3-5 quality images, 2-4 picture audio (word commentaries or sound effects) and - to help better illustrate things and concepts such as animals, action words and stories - 3 videos! Fully customizable lessons progress from single words all the way to complete stories. Using Little Reader's Pattern Phonics™ system, your child will also be guided to decode the written language in an intuitive manner, setting a solid foundation for learning Russian further in the future. Note: You will need a licensed Little Reader to use this product. Little Reader software and Russian Curriculum pack are sold separately at the BrillKids Online Shop. The Russian curriculum is only compatible with Little Reader version 3.3.1500 and up. Please update your Little Reader software before importing the Russian curriculum. SPECIAL INTRODUCTORY OFFER ONLY VALID UNTIL JUNE 28. Visit the Online BrillKids Shop and get your Russian Curriculum at the special introductory discounted price of 10% off TODAY! Introductory price discount is available only until JUNE 28, 2014. A Little Reader license is required to use this product. Software and Curriculum Packs are sold separately. Re: Get your Russian Curriculum for Little Reader! is there a trial option for it available? 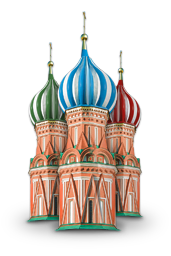 There you will see free starter content for every language curriculum, Russian included! Hope this helped, let us know if you have any other questions or need help with anything else. It will give you a good idea what is included in curriculum. There are many words that a different from English curriculum, and none of the Picture Audios ( 3 Picture Audio per word!) were translated from English -- all of them were originally written in Russian or taken from Russian poetry or prose. Some picture audios (like the ones for animal or nature categories for example) also double as EK bits, providing an interesting fact about that particular animal, etc. In addition, we used common words of Russian language for a short daily flash. Which exposes your child to most common Russian words found in Children's Literature. Hope you have a fun time testing it and let us know if you have any additional questions! YES! the wait is over! that you! Thank you for the information on how to get the Russian starter pack. We've been waiting for two years for this!!! Yey! "Error encountered during reading of protocol link. Please report this to BrillKids Support! " The message pops-up when LR opens trying to read the content file. I tried to just download the file, but no go, same error message pops up because LR opens automatically. If you do have the latest version and you still receive the same error, kindly write our customer support, providing information about Operating System, time and date the error occurred and what kind of internet connection you are using. Hope you will be able to enjoy the curriculum shortly ! Unfortunately our file server was indeed unavailable during the weekend (June 14 - 15), and this caused the download error you encountered. We apologize for the inconvenience. The good news is that our server is back online now, so you may try downloading your Russian Starter content again. Also, as Skylark suggested, please make sure you are using the latest Little Reader software version. It's important that your software is updated because the newest content files (including the Russian files) may not work correctly in old versions. Perfect, I was able to download the starter pack. I did have to upgrade my LR though, but no biggie. The Russian lessons are great, BTW! I'm a native speaker, and I'm definitely buying it for my kids Great job, guys. Just went to buy the Russian language pack, and the price in the online store was raised to $95 from $90. The original announcement (above) said the 10% discount will be good until June 28, and today is only June 25. I think you applied the Father's Day discount to it, which does go down to 5% from 10%. I thought I was good for three more days!